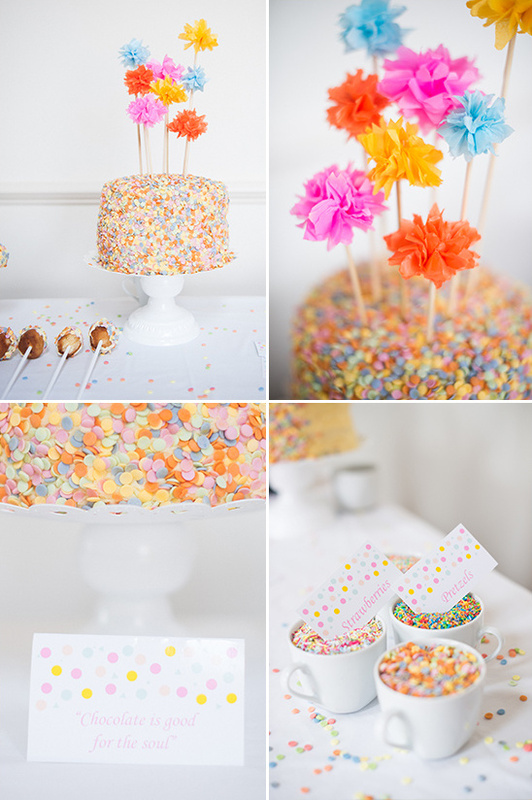 How cute is this edible confetti cake?! 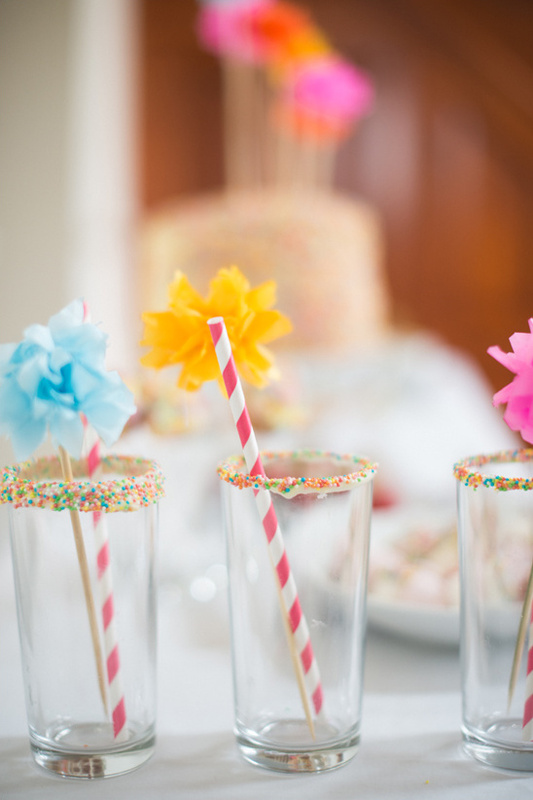 Bespoke Bride and Laura Power Photography shared with us the most bright and cheery dessert table ideas we have seen in a while. And, guess what!? It's totally do-able, just keep scrolling for step by step directions! 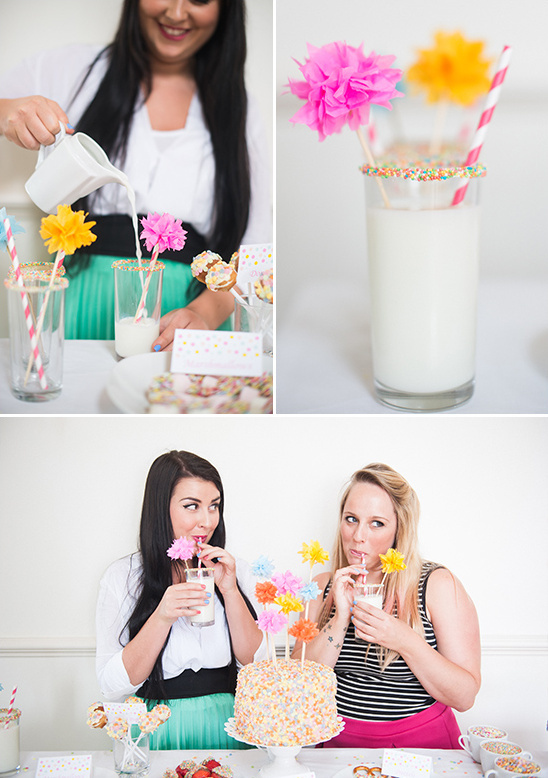 Not only did they give us directions for decorating this adorable DIY sprinkle dessert table but they also shared how they made the donut pops from scratch! Interested? Awesome, because you can find all you need below! 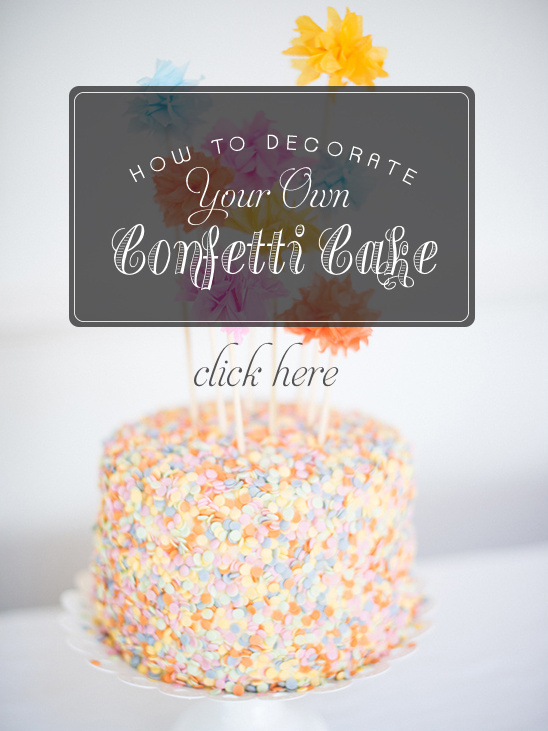 Want an edible confetti cake at your next function? Well, just click here to learn how to do it all on your own! 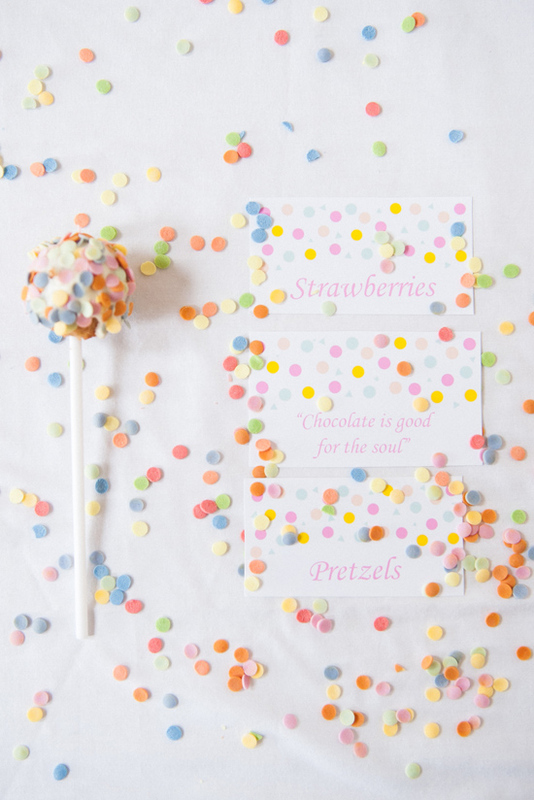 Step 1: First download our ‘free Confetti Label cards’ (seen above). Step 2: Design your table. This had to be one of our favourite parts, we loved playing around with the different foods, colours and levels. Step 3: Get dipping! 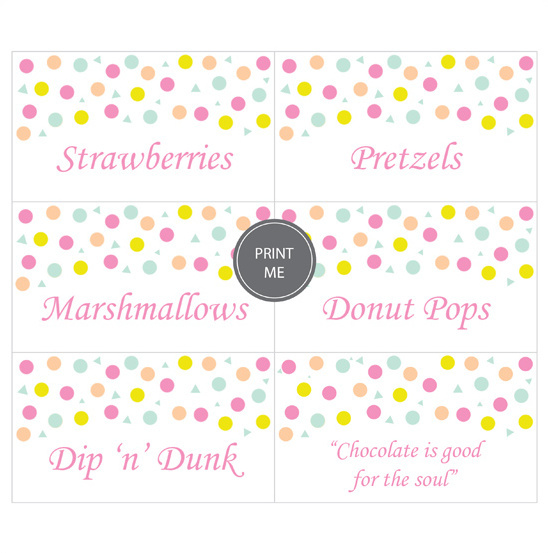 First choose the chocolate of your choice then dip into the sprinkles. We decorated a few first to make the table all pretty which were great for those not wanting to get their hands dirty. But leave some untouched so that your guest can get involved and have fun! 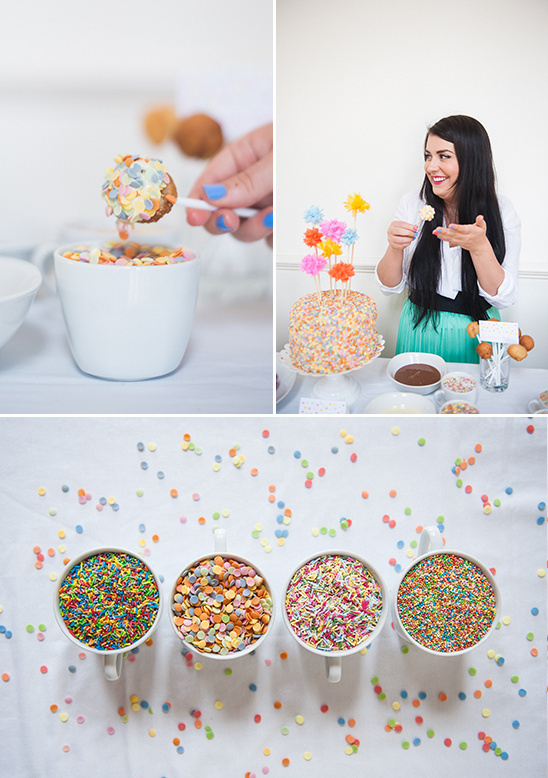 How did they make those amazing and tasty looking donut cake pops?! Well here's a hint, just click here or above to find a slider with the recipe and all of the easy steps! 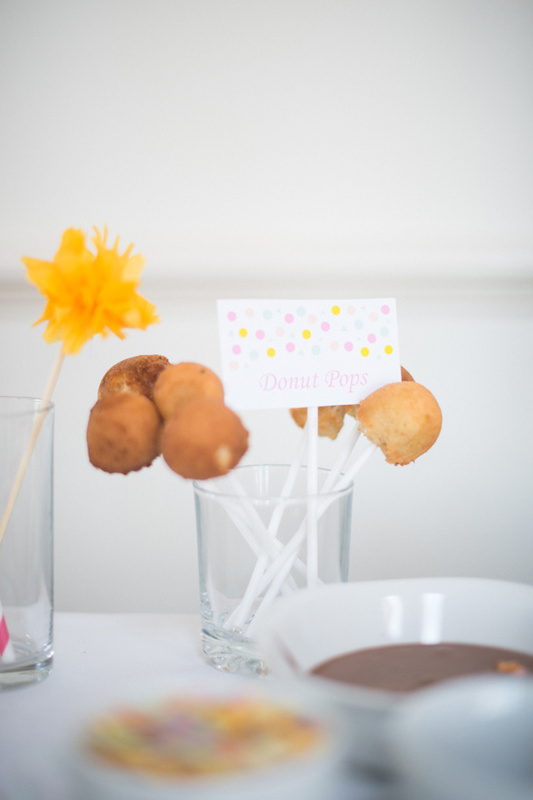 Once you have those donut pops made you'll need something to wash them down with, so why not add a drink station! Bespoke Bride chose milk but milkshakes would be just as fun. Plus, you can add a little coconut liquor for an adult only affair! 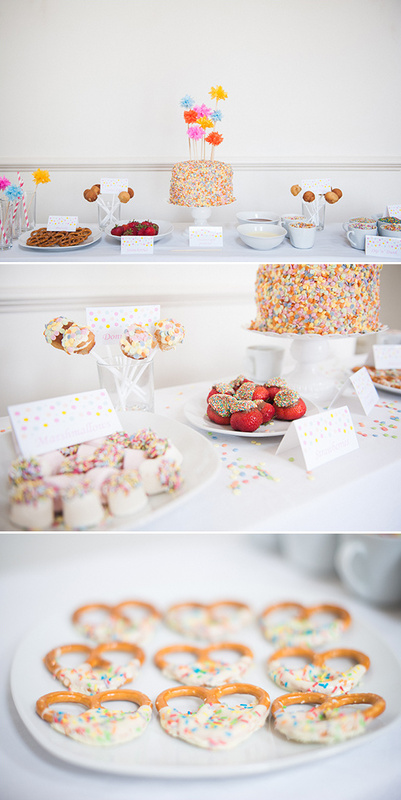 To get a closer look at these adorable DIY sprinkle dessert table ideas, check out the wedding film Bespoke Bride created below!